I attended the opening party for EMP’s Hello! 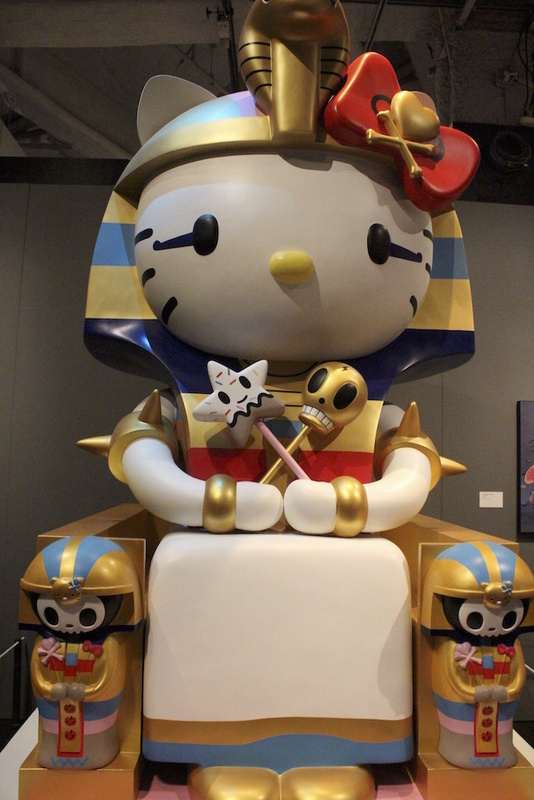 Exploring the Supercute World of Hello Kitty exhibition in November, 2015. 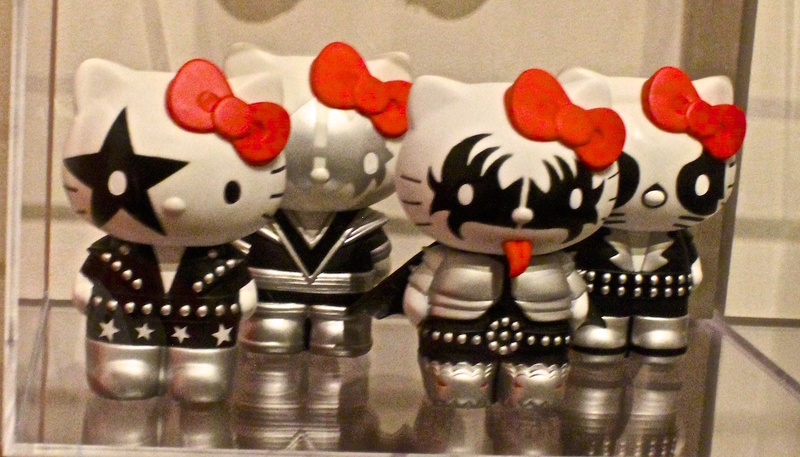 EMP put on a dance party, fashion contest and added special Hello Kitty-themed items to its menu. 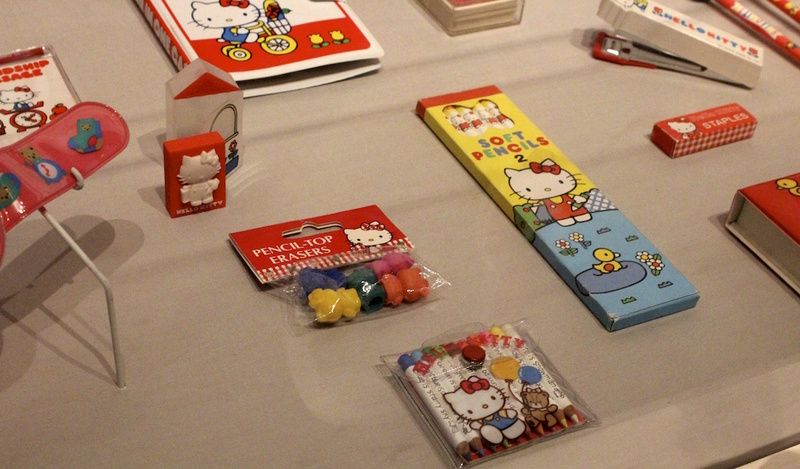 The big merch line into the Hello Kitty store proved that attendees definitely wanted their Hello Kitty items. 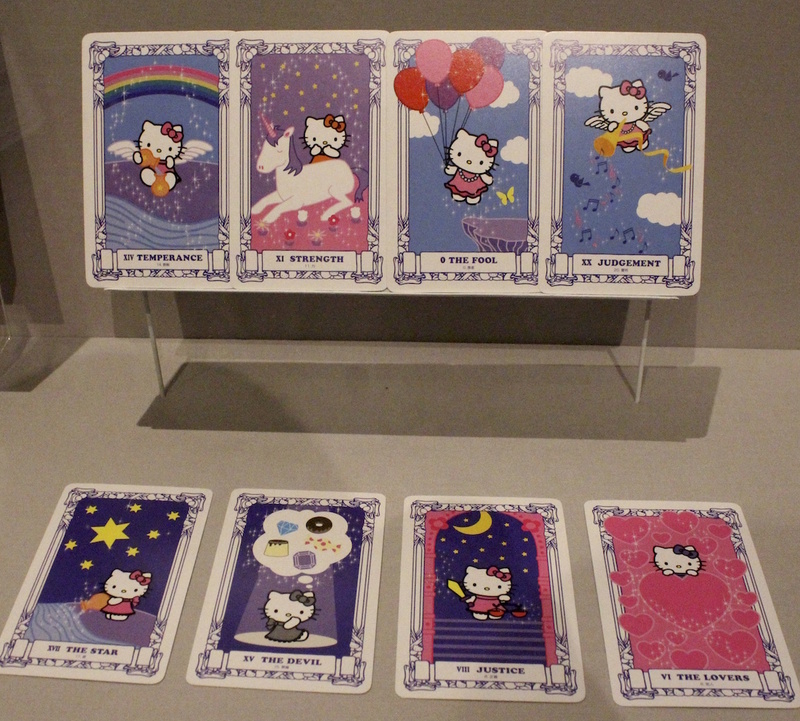 The exhibit includes a huge variety of Hello Kitty art and memorabilia. 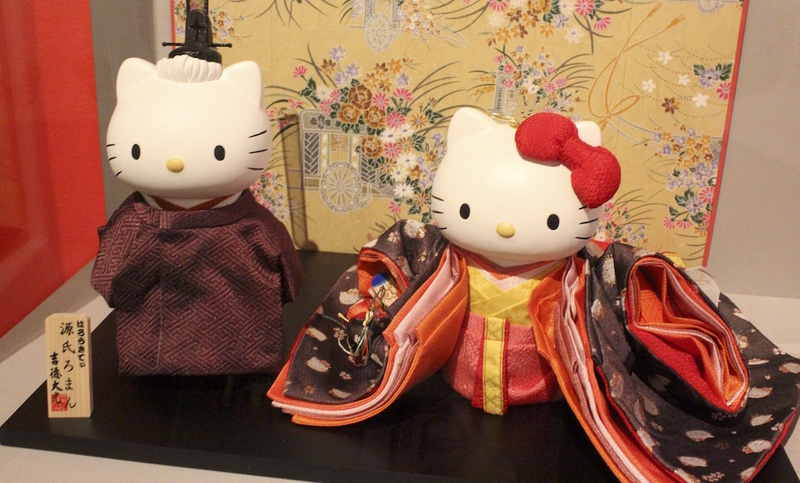 As promised, the display explores Hello Kitty’s pervasiveness. 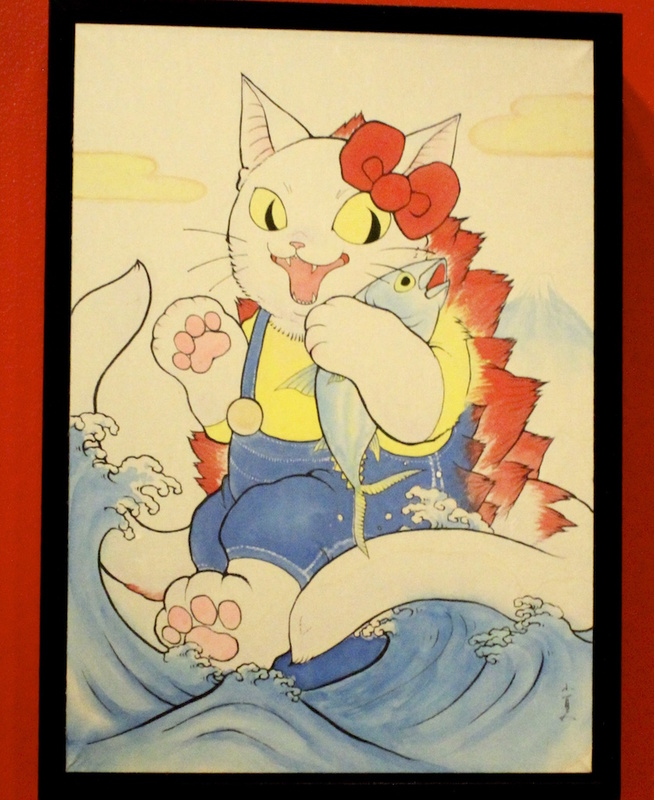 The English-born/Japanese-created icon is beyond famous. 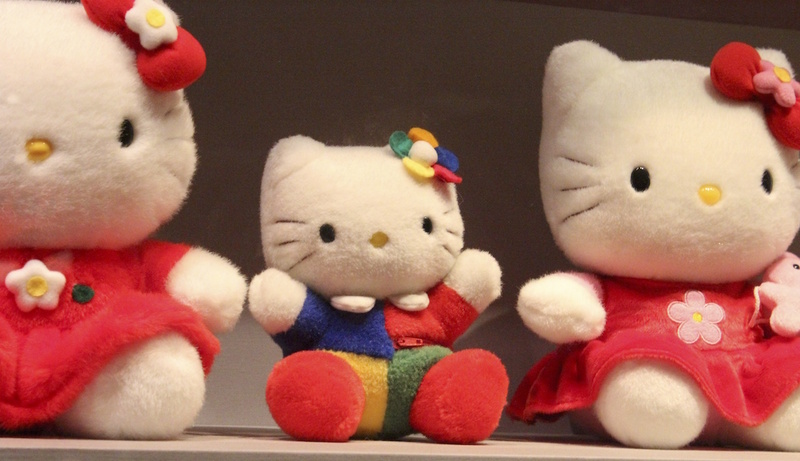 But there’s a weird ambiguity about what, exactly, Hello Kitty is. 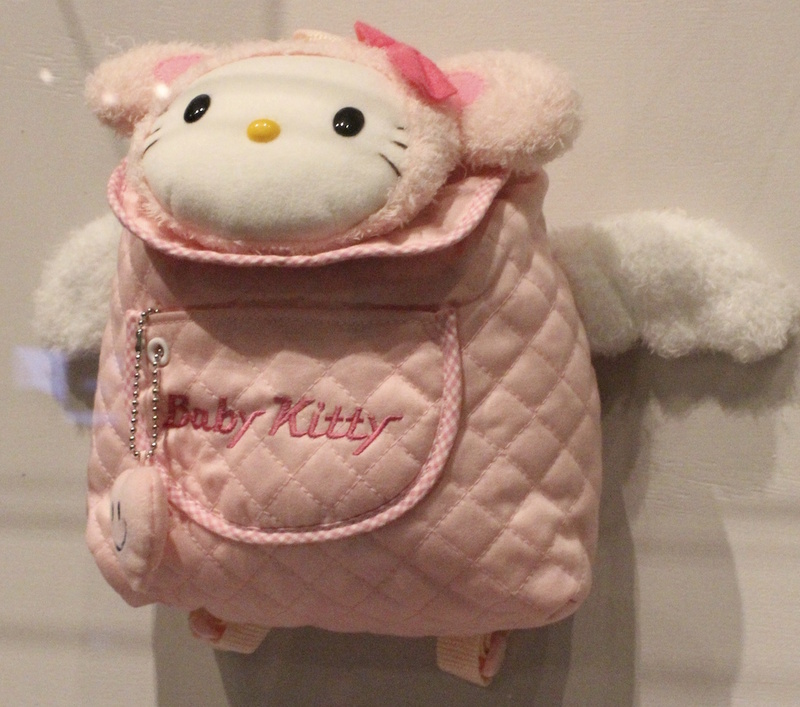 Sanrio has said, “Just like Hello Kitty isn’t a human, she’s not quite a cat either. 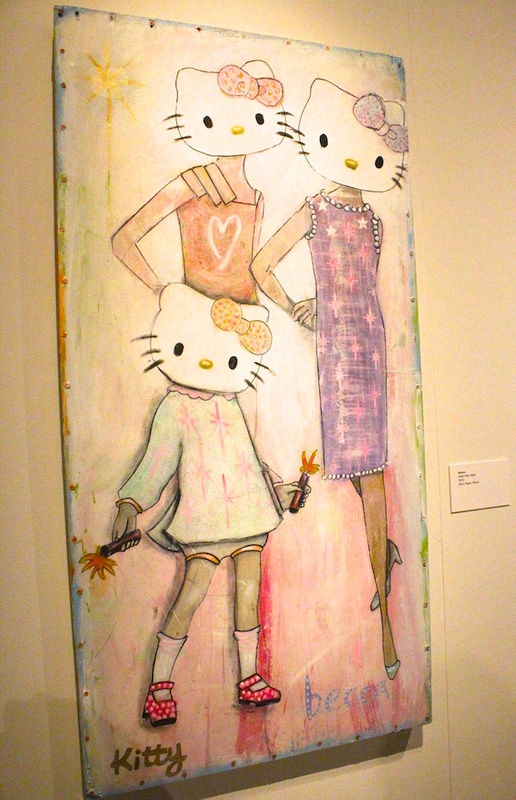 . . Hello Kitty was done in the motif of a cat. 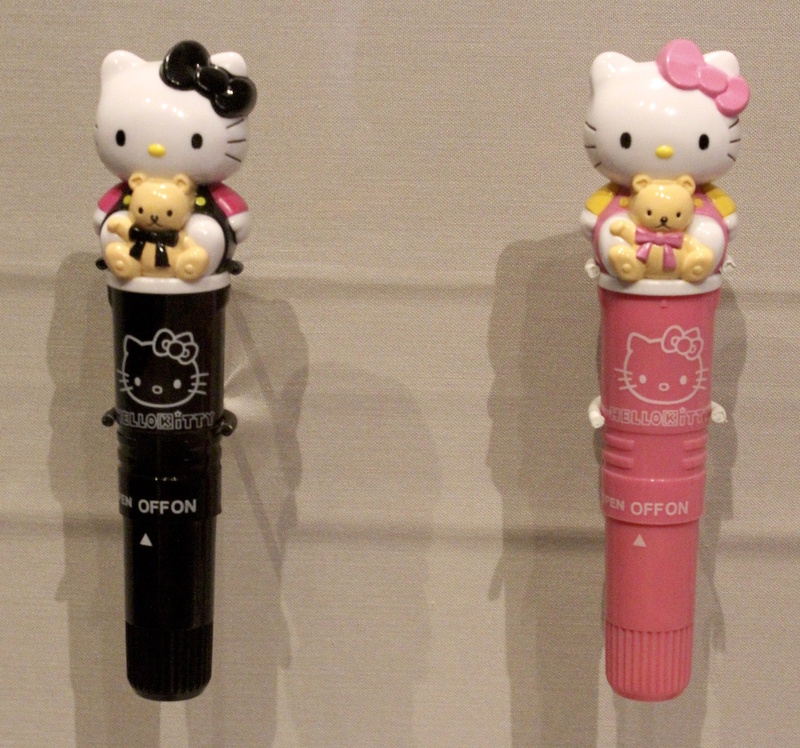 It’s going too far to say that Hello Kitty is not a cat.” It doesn’t matter. I like to think she’s an adorable hybrid. In the the cyborg sculpture (see below), she appears as a goddess. 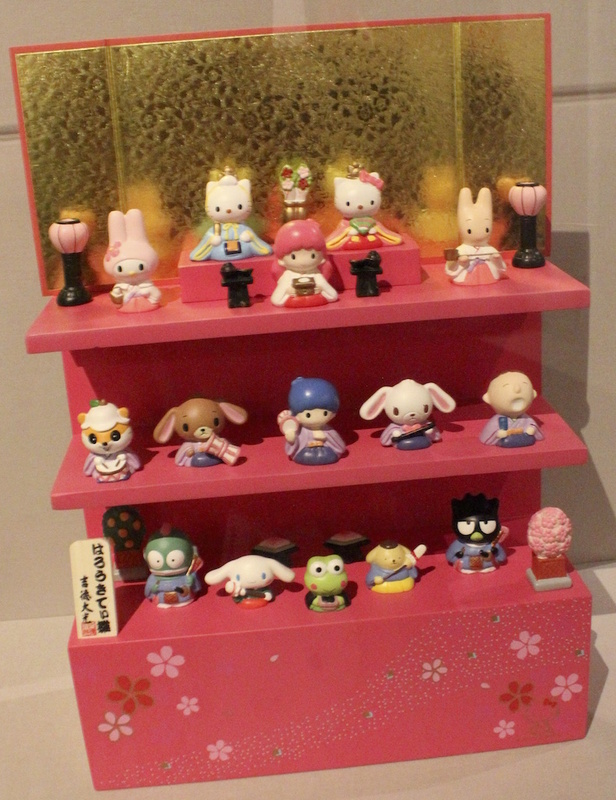 I took a few photos of items, and was impressed by the exhibit. 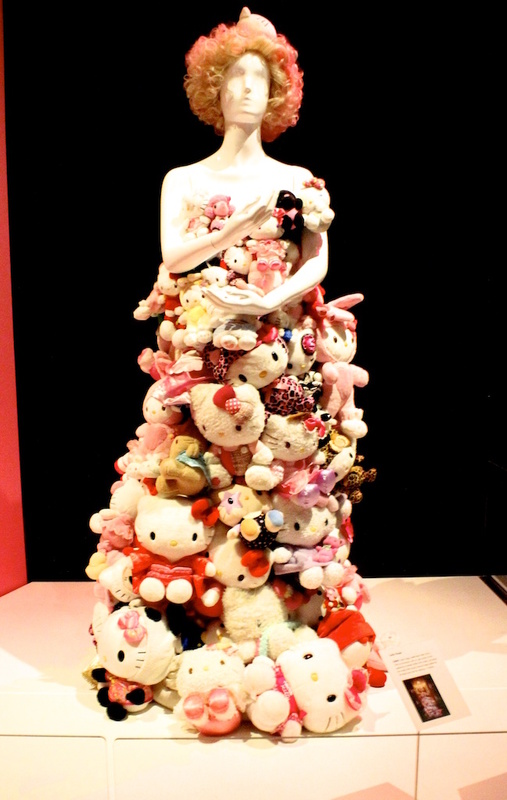 There’s a Hello Kitty response to practically everything. Erasers, tampons, tarot cards. . . 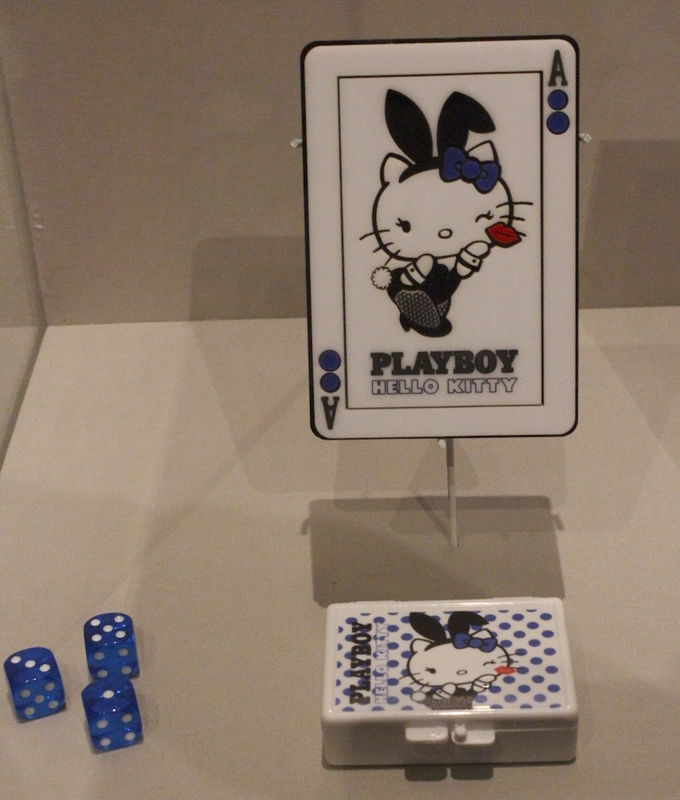 The Hello Kitty-themed art work is also worth seeing close up. Remember: 5 generations of children have grown up with her. Follow this link for details. Closes May 15, 2016. Written by: Dagmar on 01/31/2016. 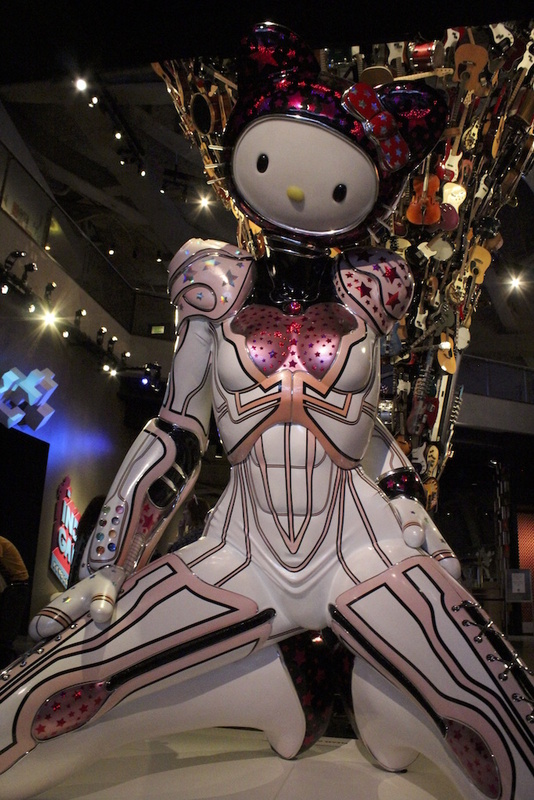 This entry was tagged emp sci fi museum, hello kitty. Bookmark the permalink.